Galapagos tortoises are the largest in the world and they can outlive me very easily as their life span is up to 150 years. These galapagos tortoises played a major role in Charles Darwin’s revolutionary theory of Natural Selection theory when he visited Galapagos Island in 1835. Apparently these giant tortoises were on the brink of extinction but somehow they made a comeback. Welcome back! Don’t go away. A lovely thought from Chritina Rossetti, to remind us that we should not only be mindful of each other as human beings but we should also think of the plight of other creatures around us. This thought is especially topical concerning what become of Cecil the Lion from Zimbabwe. Cecil was king of his pride and had a fairly wild time with his kin and only to become a murder victim of a human vanity. Poor Cecil! What of Walter Palmer? What compels him to kill beautiful wild animals? The safety of England depends on the number of cats she keeps. He proves his proposition thus: Without the aid of bumble-bees the red clover could not be fertilised. Bumble-bees make their nests on the ground, where they are the prey of mice. Cats destroy the mice and give the bees a chance to live. Hence he reasons, no cats, many mice; many mice, no bumble-bees; no bees, no clover; no clover, no cattle; no cattle, no beef; and without beef where would the Englishman be? 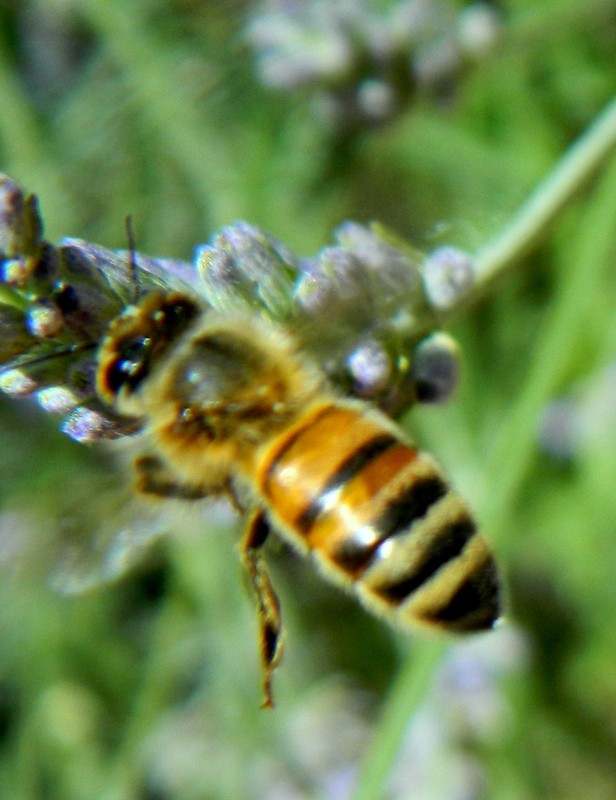 Bees are extremely important to our survival as human beings. They fertilise the flowers of many food resources to naturally produce the goods. There was a report not long ago that there were fears that bees are heading into extinctions. Well fear no more as our garden has become a haven for busy buzzy hungry bees. It is all the flowers that are growing profusely in our garden, the roses expecially are a great attraction to them! Go on bees, help yourselves, just try not to sting anyone of us! The bee population is dwindling fast. We need to prevent this happening as bees are necessary in the cross pollination and fertilisation of plants. Below is a cute chart by a very talented lady, Hannah Rosengren, detailing the plants that would best attract the bees in your garden. IT IS ALMOST SPRING…. GET PLANTING!!! This is something for the diary of 2014. I have always been fascinated with the history of the Neanderthals. Apparently their lack of language made them an easy target for the slightly more sophisticated Cro-Magnons. The grizzled face of a model of a Homo sapiens, seen briefly in the Central Hall. Models that will take pride of place in the Britain: One Million Years of the Human Story exhibition made their entrance last week. Two eerily lifelike models of a Neanderthal and a Homo sapiens were delivered to the Museum on Friday, before being whisked off into hiding until early next year. The specially commissioned models were created by the Kennis brothers, twin artists who specialise in scientifically accurate sculptures of ancient humans and animals. Ancient visitors: the Neanderthal, left, is modelled on a Neanderthal who was in his 20s. The artists were surprised by scientific evidence of his anatomy, particularly his flat bottom. The Homo sapiens is based on a man in his 50s. The naked models, both with tattoo-like markings, are wizened and look disturbingly similar to modern men. The Neanderthal is lighter-skinned than the Homo Sapiens, based on evidence from recent and ancient DNA. The Neanderthal figure is modelled on a skeleton found in a cave in Belgium and is short and stocky, whereas the modern human, whose ancestors came from Africa, is much taller. Drawing on scientific data, the Kennis brothers rebuilt the skeletons of these ancient humans in their studio in Arnhem in the Netherlands built up clay muscle and tendon and took a cast of each body. These were then filled with silicon to create the models. They coloured and specked the silicon from the inside out to recreate accurate skin tone. Both Neanderthals and modern humans probably used pigment to mark their skin. Museum palaeontologist Prof Chris Stringer, Director of the Ancient Human Occupation of Britain project (AHOB) that inspired the exhibition, provided replica bones and advised the artists on skin pigmentation, markings and hair style. The AHOB project is a 13-year multidisciplinary collaboration between the Museum and Royal Holloway, Oxford and Cambridge Universities, the British Museum and Queen Mary University. The exhibition itself has taken three years to create. Neanderthals are our closest extinct relatives, and although our species, Homo sapiens, did not evolve from them directly, many of us have a small percentage of Neanderthal DNA as a result of ancient interbreeding. Neanderthals were skilled toolmakers and hunters, great survivors who colonised Britain many times between 400,000 and 50,000 years ago, at times coping with ever-changing environments, and at other times disappearing. Modern humans first arrived in Britain from Africa around 40,000 years ago. Homo sapiens were the first human species to sculpt objects not just for survival but to interpret the world around them, through artistic expression. The models will take pride of place in the exhibition, Britain: One Million Years of the Human Story, which opens 13 February 2014. Meet Sue, the Tyrannosaurus Rex. Sue, a seven tonne t-rex can be seen at the Field Museum in Chicago. Sue is currently the largest and most complete specimen of the prehistoric predator ever found. The curator paid a record-breaking $8.4m at auction in 1997. Dinosaur enthusiasts are revising their image of the mighty Tyrannosaurus rex after discovering that the most famous specimen on public display was felled not in mortal combat, but by an infection that causes sore throats in pigeons. Examination of her remains found that this 65million years old t-rex had suffered and survived turbulent skirmishers that left her with 3 broken ribs, torn tendons and damaged shoulders. But do you know how Sue died? Well scientists reckon that Sue died of sore throat. Did you know the nearest living relative to the tyrannosaurus rex is the chicken!